Would you like to check out six (6) great mystery series in one place in one neat package? My publisher Henery Press would like to oblige. Hot off the digital presses is a new Summer Sampler with the opening chapters of books currently on preorder and to be released in the next couple of months. Henery Press is making the first 10 percent or so of each book available in this digital sampler for free. Because the booksellers don’t offer samples while books are on preorder, this may be your only opportunity to get a peek at these upcoming titles ahead of release day, and have them waiting in your mailbox or on your ereader the day they go live. Based on the length of the FATAL FORGERIES portion (yes, I’ve already download a copy on my Kindle–I want to read everyone else’s books too!) the excerpts run somewhere around 10% or a little better for each–depending on the chapter lengths each author employs. And there are quick buy links at the end of the excerpts. Handy, handy! 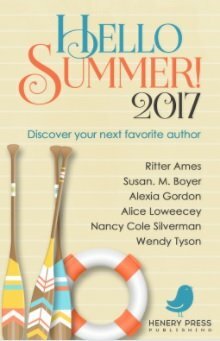 To get this fun Summer Sampler, just go to https://www.henerypress.com/early-birds and sign up. In a short time you’ll receive instructions in your email inbox with a link to download the sampler to your ereader, tablet, or laptop. How great is that, right? But hurry! This exclusive Henery Press offer won’t be available for long!